Quite often, I get asked what mobile carrier I have when new aquaintences realize I have coverage. I wanted to share my take on what the best options are. They have to be budget friendly, provide great coverage just about everywhere, and have to have somewhat decent speeds. If you’re in the US, you can usually call up your carrier and add on an international roaming pack. It’s gonna cost though, and it’s not cheap. Also, you’re not even guaranteed great coverage or high speeds. 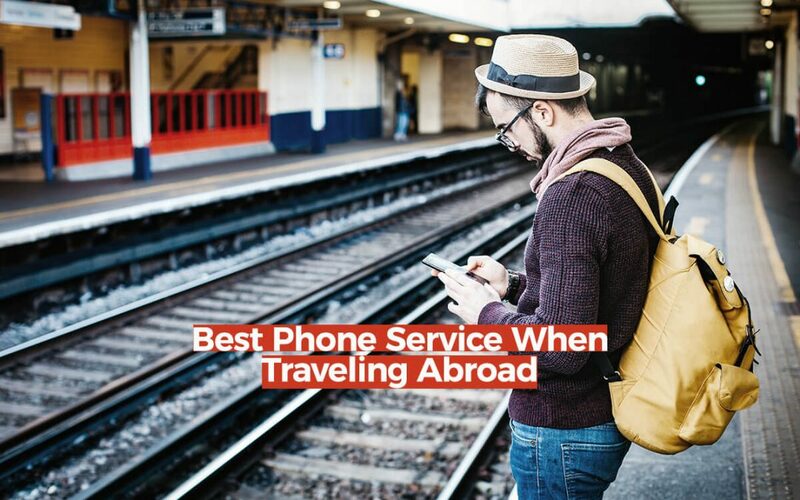 If you don’t travel much, and don’t really intend to use your phone for anything other than having an emergency line, this might be the way to go, but there are better options. If you’re not in the US, you may have luck and might be able to roam without even having to pay for another package. If you’re in Europe, there are roaming agreements with most carriers that will let you roam for pretty much free. It’s best to call up your carrier first though just in case. The go-to method in the past has always been to simply buy a local SIM when you arrive at your destination. While this is great if you’re planning to visit a single country, it can get expensive when you tend to travel between many countries. You’ll be paying local rates, but you won’t be able to use your existing number while on your trip. If you only need data, this is probably the way to go. One caveat is that you’ll need an unlocked, GSM or dual band phone that supports SIM cards. Most phones now-a-days will work fine, but again it’s best to check first with your carrier to make sure it’s not locked. If you’re in the US and leased your phone through a carrier, it’ll probably be locked (unless you bought your phone outright, or you’re with Verizon). If your phone is locked, but you own it outright, you can request an unlock code and instructions pretty easily by calling your carrier. (They are required to unlock it). If you only need basic phone and data access (we’re talking 2G speeds), T-Mobile offers a great plan called T-Mobile One. If you’re already a subscriber and have this plan, then you’re good to go. If you really need faster speeds, they do sell a data pass that lets you roam at faster speeds, though it’s not exactly cheap. Unfortunately, Google Fi (formerly Project Fi) is only available in the US. If you’re lucky enough to live here, I would highly suggest checking into it. I personally have had Google Fi service for several years now, and I’ve got to say, it’s been fantastic (albeit with a few hiccups). If you’re not familiar with the service, it’s a pre-paid carrier that is known as an MVNO (Mobile Virtual Network Operator), meaning they basically piggy-back on other carrier’s towers and services to provide coverage. While they don’t own the towers, Google has negotiated (and purchased) bandwidth, which it then provides to their customers. In a nutshell, this means you get coverage everywhere they have agreements (which is pretty much world-wide – 135+ countries). I’ve only encountered a few problems with their service so far, and I’ve used it in over 12 countries so far. Once, when traveling through France, I was not able to connect to any of the networks at all. I gave up and purchased a Lyca-Mobile SIM card for around €10 (~$11 USD), which gave me 2GB of data that I used during my week long stay. I complained to Google about it and they gave me a month’s credit for my troubles. Their rates are pretty simple, $20 USD flat rate per month for unlimited calling/texting in the US, then $10/GB worldwide. Any data that you don’t use is refunded back to you. Ie. If you use only 5 GB, then you’ll get a statement credit for $5. If you go over, you’ll just be billed the difference. When roaming, the data rates stay the same, but voice usually costs around $0.20/min. SMS is always included free. Lastly, if you use Wifi Calling back to the US, that’s also free. They also recently made it so any usage over 6GB is unbilled, meaning your max bill (excluding international calls) would only ever be around $80. The bad news.. Not all phones are supported, though they recently added support for the iPhone and several other android phones. The data price is a bit high, but when you take into account you essentially get unlimited data worldwide for $80 per month, it’s not really that expensive (for US subscribers anyways). If you decide to bring your own phone, make sure it’s unlocked. The Good News.. While there are downsides, the upside is that there is also no contract. You’re free to cancel the service whenever with no fees, as long as you own the device. If you financed it, you’ll simply need to pay it off in full. If you’re interested in Google Fi and want to sign up, you can read about it here: Google.com/fi If you do sign up, it’s a referral link that’ll give us both a $20 credit. While this isn’t intended to be an ad for Google Fi, I’ve found that their service is pretty great. I travel quite a lot, and I love that I can just simply walk off a plane and have coverage. While everyone’s situation is different, think about what works the best for you. If you’re only traveling once a year, or even every few years, see if you can just go without coverage and just sticking to free WiFi hotspots. If you absolutely need coverage, look into getting a local SIM card, or see if your carrier can offer you a good price for data roaming. I’ve met quite a few travelers who chose to simply forgo having any service and they didn’t seem to have any trouble (other than the occasional getting lost part). It’s also a great way to hone in your navigational skills, or to simply meet locals by asking for directions. Many people are happy to help you if you look a bit lost. I’ve asked for directions many times when I was without my phone and I’ve never had anyone refuse to help. What do you use for mobile service when you travel? Tell me in the comments!